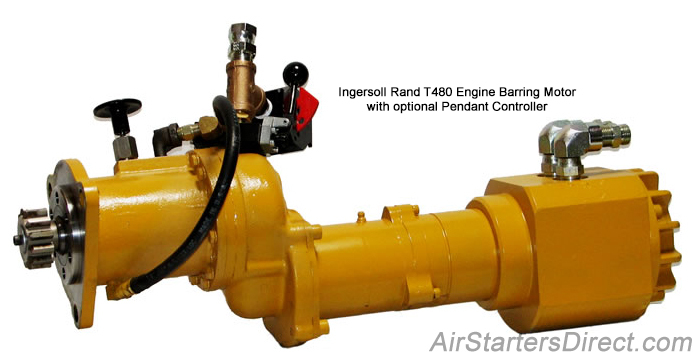 Service work on diesel and gas engines is easier and safer with Ingersoll Rand B006 and T480 Series pneumatic barring motors. These highly reliable, precisely controlled motors enable you to turn engines over slowly and stop them securely for greater peace of mind and productivity. These barring motors are lightweight and portable, which means you can move them from engine to engine, or mount them permanently. Since they are powered by compressed air, these motors are well suited for field applications, hazardous environments, and are perfect solutions for all service applications. 90 psig air operation produces more than 300 ft-lb of torque. 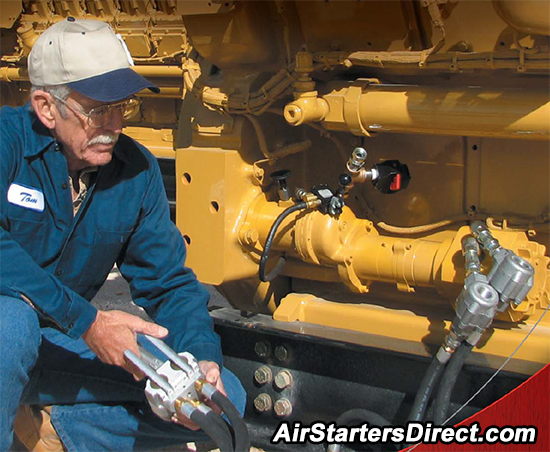 For diesel engines with displacements up to 500 liters and gas engines up to 1000 liters. Integral disc brake is always engaged when motor is not in operation to ensure safer, easier engine adjustments.